If everything’s ready here on the Dark Side of the Moon… play the five tones. 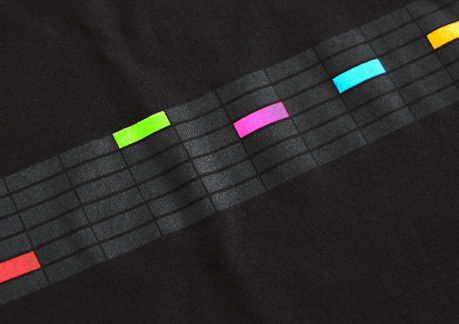 A 7 colour screen print on a regular fit, 100% ultra cotton black t-shirt. Inspired by the film Close Encounters of the Third Kind.